​​The Zipline EcoTour will give each person the opportunity to zip across and learn about the Sonoran Desert flora and fauna while pushing the limits of their comfort zones. It includes 5 ziplines ranging in length from 400-1,500 feet. The last and longest run is a dual line making it possible to zip alongside a friend or loved one! Experience the Sonoran Desert in a whole new light with the Moonlight Zipline Experience! This tour will give each person the opportunity to zip across 3 of our ziplines that range in length from 400-1,500 feet in length as the sun begins to set and the moon emerges. These specialty tours run once a month through the spring and fall seasons. ​​​Come experience a classic Sonoran Desert sunset with our Sunset Zipline Experience! This tour will give each person the opportunity to zip across all five of our ziplines that range in length from 400-1,500 feet in length as the sun begins to set. These specialty tours run once a month through the spring and fall seasons. Click here for the Valentine's Sunset Tour! ​Treat your friends and family to a gift unlike any other! 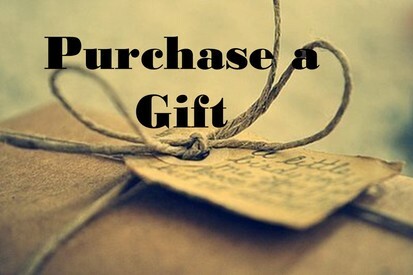 When you purchase a gift certificate for a tour, the recipient can apply the code provided in the confirmation email to any date of their choosing. Looking for something different to bring your group together? 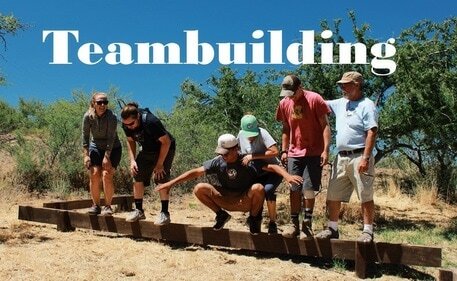 Arizona Zipline Adventures offers both high and low challenge activities that are designed to create and reinforce cohesion of a group, strengthen communication, and enhance problem solving skills, all while having a great time! There are blackout POGO pass days surrounding holidays. Redeemable only by the POGO pass holder (cannot give the pass to a friend to use). Tucson Attractions Passport holders can make their reservation online by paying a half deposit and using their passport upon arrival for the passport discount. You can also call us at 520.308.9350. Sweet Deal Certificate holders must call to make a reservation. Reservations will be made depending upon availability. There are blackout days surrounding holidays. All other certificate holders must call to make a reservation! Reservations are REQUIRED for all zipline & ropes activities. 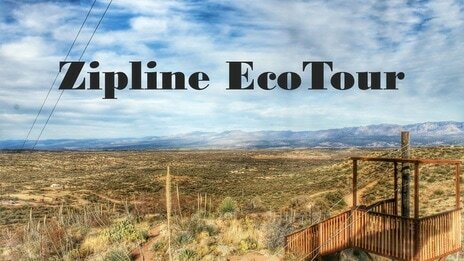 Zipline EcoTour reservations can be made online for 1-8 people using the “Book Now” buttons above. For a group of more than 8 people, you must use the group inquiry form above or call to make a reservation. Guests must weigh between 50 and 250 pounds. No refunds will be given if you do not meet the weight requirement. All guests must be able to follow instructions given by guides. AZA reserves the right to cancel your tour if there is concern for your well-being- this includes not following instructions. It is recommended to consult with a physician if you have any medical conditions or recent injuries. We do not recommend doing these activities if you are pregnant, think you might be pregnant, or suffer from recent injuries. AZA reserves the right to cancel your tour if there is concern for your well-being. Arizona Zipline Adventures has a zero-tolerance policy. No participants that appear to be impaired or is in any way endangering the safety of themselves or others will be permitted to partake in the scheduled activities. AZA reserves the right to cancel your tour if there is concern for your well-being. If you need to cancel or reschedule your reservation, please call us no later than 48 hours before your scheduled tour to receive a full refund. Late arrivals, no-shows, cancellations for bookings within 48 hours of scheduled tour, and those not meeting tour requirements during tour check-in will not be refunded or rescheduled. We ask that guests arrive 30 minutes prior to scheduled tour time to ensure a smooth check in process. Late arrivals, no-shows, and those not meeting tour requirements during tour check-in will not be refunded or rescheduled. Please review all tour requirements listed above and plan your day and travel arrangements accordingly. Military must present an id to receive discount. The military discount does not apply toward family members.